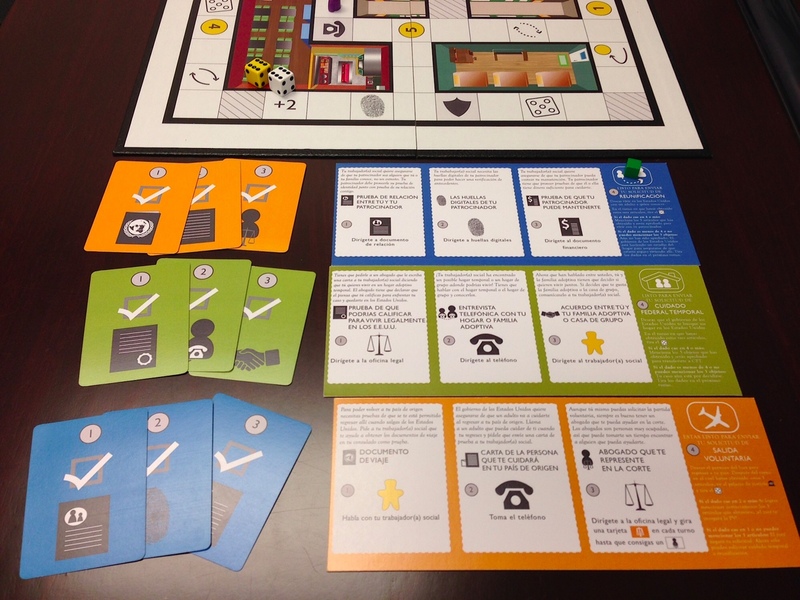 Back in Spring 2012, I started working on Make a Move, a game for unaccompanied immigrant minors (UIMs), youth who find themselves in the U.S. without proper documentation of legal status. I was working with a former teacher turned immigration lawyer to bridge the information gap faced by these youth due to their undocumented status. One of the first topics we identified as important for UIMs to understand was the release from detention/shelter process. At about the same time The New School started its social innovation fund called the New Challenge, which was the perfect opportunity to seek seed funding to produce and distribute Make a Move. 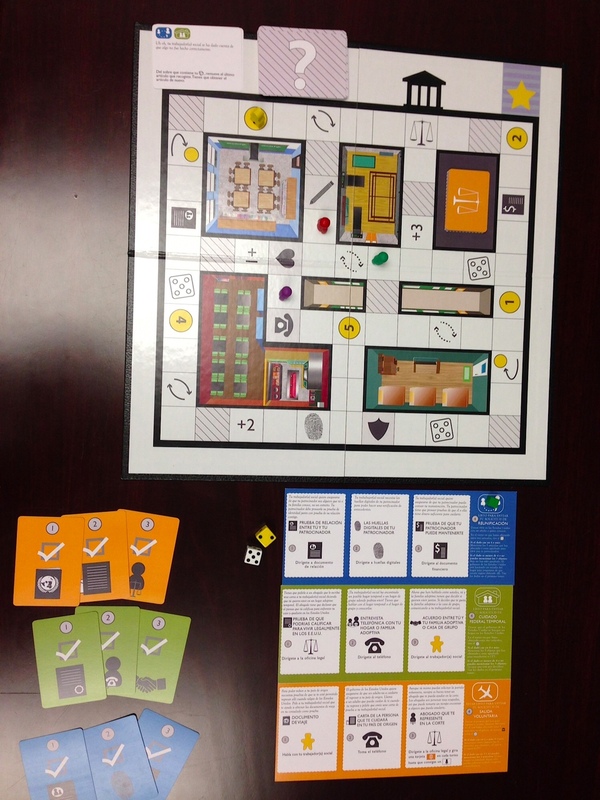 In the final few weeks of that spring semester a few notable things happened: I finished designing the game, which was also my culminating thesis project for my Parsons MFAD+T degree. 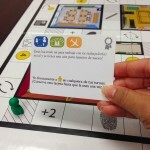 My immigration games project (then named AmigoLegal Games) became the inaugural New Challenge grand grant winner. I was offered a full-time teaching position at the University of Miami in Florida. I (finally) graduated from The New School. In that order. When I first started this project and applied to the New Challenge, I had planned to continue working on it post-graduation from New York. Then my life took a turn and I was headed to Miami, which happens to be another haven for UIMs with its own immigration law concerns. In my last two months in New York, a place I’d called home for 5 years, I had a lot of transitioning to do. I moved out of my awesome Brooklyn apartment, the one I thought I would live in for many more years. I went from being a graduate student to a professor. I got engaged. I was about to start a whole new life in Miami. 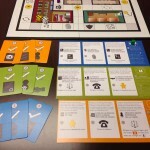 Before I left, I committed to continuing working remotely on the immigration games project with my lawyer partner and the juvenile facilities in New York. Well, things didn’t quite work out as planned with my project partner, and I was left to re-establish the project in Miami. It wasn’t easy, but after about a year of making connections and meeting with different groups, I finally found a solid partnership within the University of Miami family. Etiony Aldarondo from UM’s School of Education has been working with UIMs for years. He’s the faculty advisor for an amazing initiative called ICAN (Immigrant Children’s Affirmative Network), which is part of a larger entity called ICLASP (Immigrant Children’s Legal And Service Partnership). ICAN is a group of dedicated volunteers who work with the UIMs at a shelter in Miami Gardens called His House. I was fortunate to meet Etiony in August 2013, just as ICAN was reworking their UIM curriculum to switch from shorter weekly sessions to an extended 2-days-per month schedule. 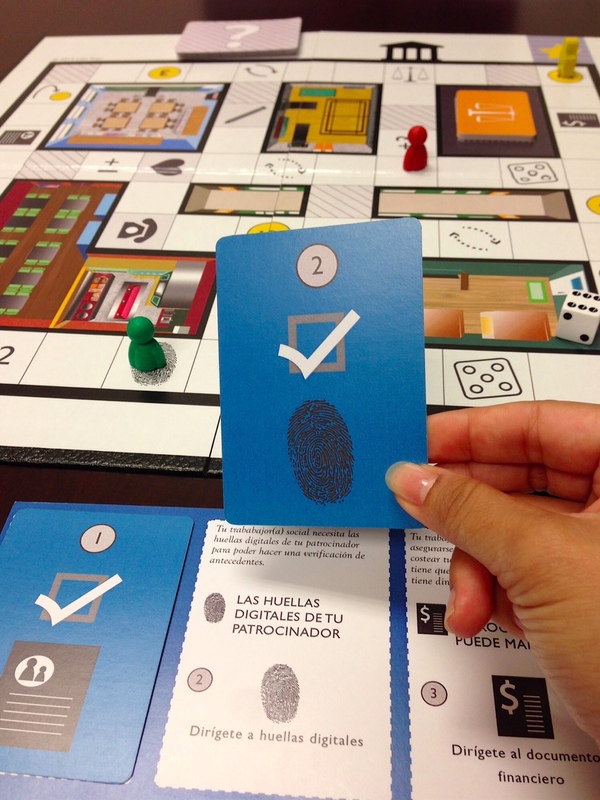 Again it wasn’t easy, but I’m so appreciative to have made inroads here in Miami where I can be more involved and have more stakeholders interested in spreading the use of games to address the immigration information gap. 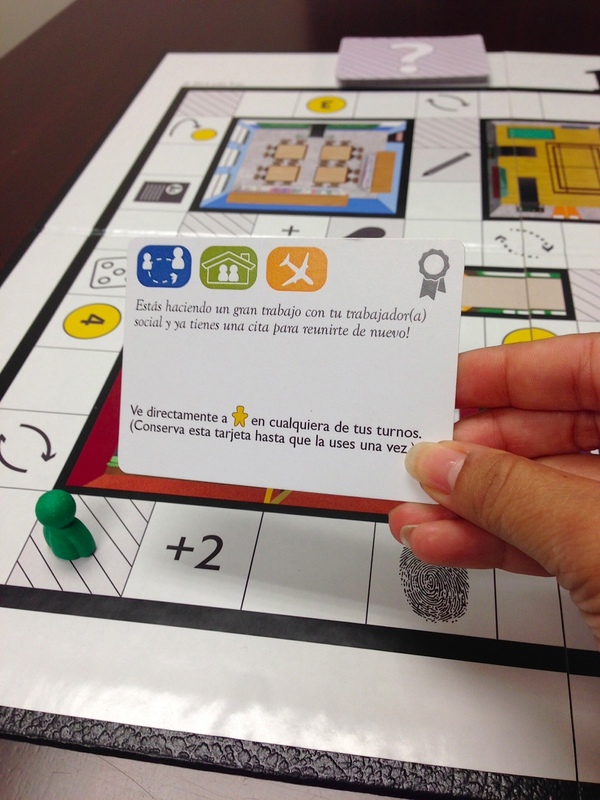 Since that first meeting with Etiony in August, we finalized the Spanish translation for the game including its name and had immigration experts from Americans from Immigrant Justice (AIJ) play and confirm its content. 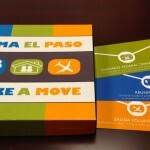 Toma El Paso (Make a Move in Spanish) has been part of ICAN’s monthly curriculum since April 2014. 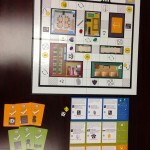 In June, we met with the His House staff in charge of the UIMs at their shelter location, and they are very excited about using the game beyond just ICAN. 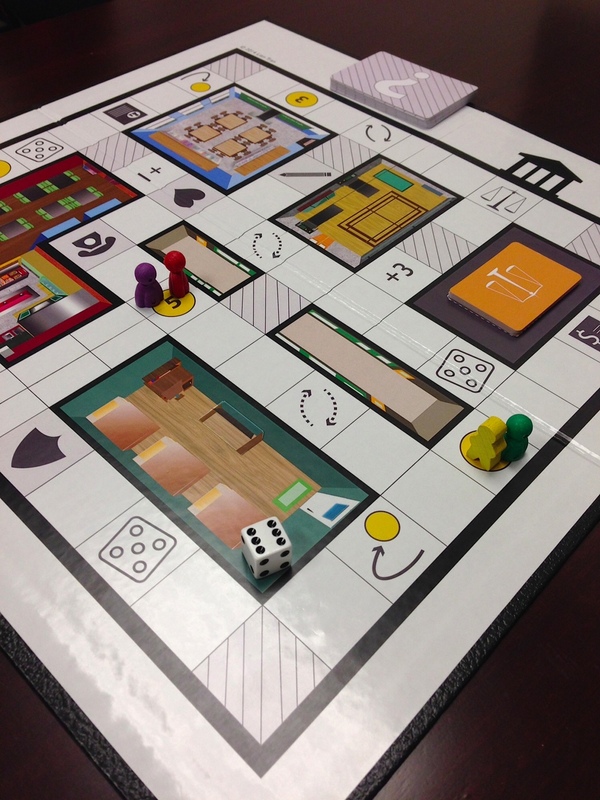 We’ve now planned a game training in August 2014 with the shelter staff so that UIMs can learn and play the game throughout their stay at His House. It seems like it’s been a slow two years, but I’m super excited about the progress we’ve made in the last few months and the steps we are taking to grow. 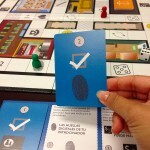 One big change to note is that I’ve renamed this game-based initiative to Amiguía Americana to convey our efforts to provide resources designed for UIMs that serve as friendly guides to acclimating to life in the U.S. We are also trying to expand the reach and use of our resources to include immigrant youth who may have legal status to live in the U.S. Stay tuned! 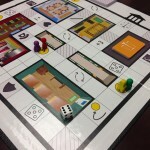 Special thanks to The New School’s New Challenge for seed funding to make this project a reality, my Parsons MFA+DT game design ‘family’ including faculty and students at Institute of Play who helped test the game in its very early stages, Jessica Wendorf (for her instrumental translation help), Lauren Gutman (ICAN program coordinator and Amiguía Americana research assistant), ICAN volunteers, Etiony Aldarondo (Director of Dunspaugh-Dalton Community and Educational Well-Being Research Center at University of Miami), Americans for Immigrant Justice (AIJ), and the staff His House in Miami Gardens, Florida.